Over 200 classic cars for sale at Anglia car Auctions biggest classic car sale to date on Saturday 23rd August in Kings Lynn. The jam-packed catalogue features cars from all over the world, spanning 70 years of motoring, to suit all motoring tastes and budgets with 34 classics going under the hammer without reserve. 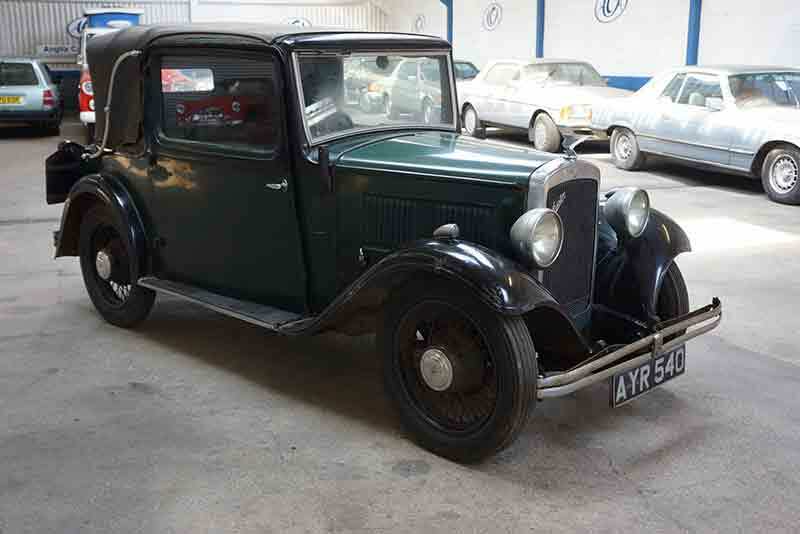 The oldest car on sale is a 1934 Austin 10/4 Colwyn Drophead Coupe that, has had a new exhaust system fitted recently but is in need of restoration and is sold as a non-starter, this car is estimated to sell for between £4,640 and £5,350. Buyers looking for something a little more recent may be interested in the youngest ‘classic’ on sale. A 2003 Mercedes SLK230 Komp Automatic. With four owners from new (the last two from the same family). The car is sold with a full MoT, and is estimated to sell from £4,750 to £5,750. 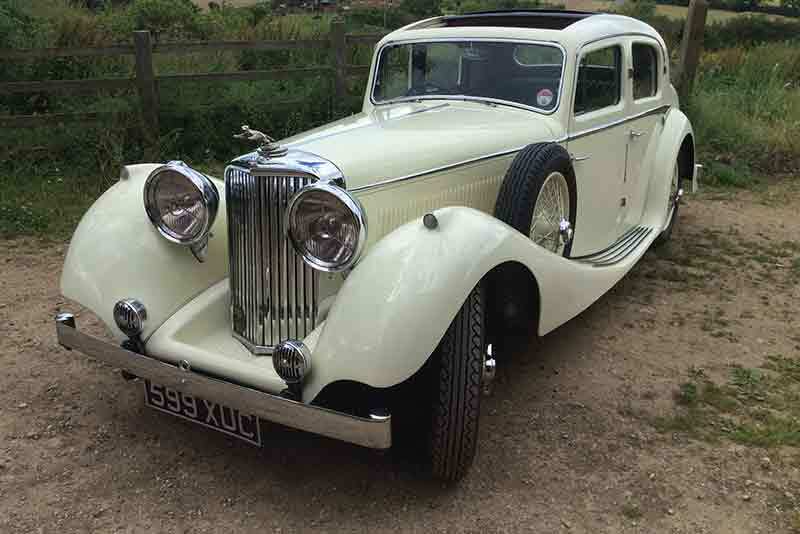 The expected star of the sale is a 1937 SS Jaguar 2.5 litre saloon which was delivered new to Australia, where is was first registered and kept by four owners until it came back to the UK in 2007. This rare, concours winning car, is expected to fetch between £68,000 to £78,000. Amongst the line-up are no less than 28 Mercedes, 19 Jaguars, 15 Rovers, 13 Morris, twelve Fords, eleven Austins, eight Minis, and six Alfa Romeos, plus seven American classics. This includes a number of project cars that are in need of restoration or recommissioning including a matching numbers 1975 BMW 2002 Turbo. Despite needing a full restoration, the engine runs and the interior is described as being in excellent condition. 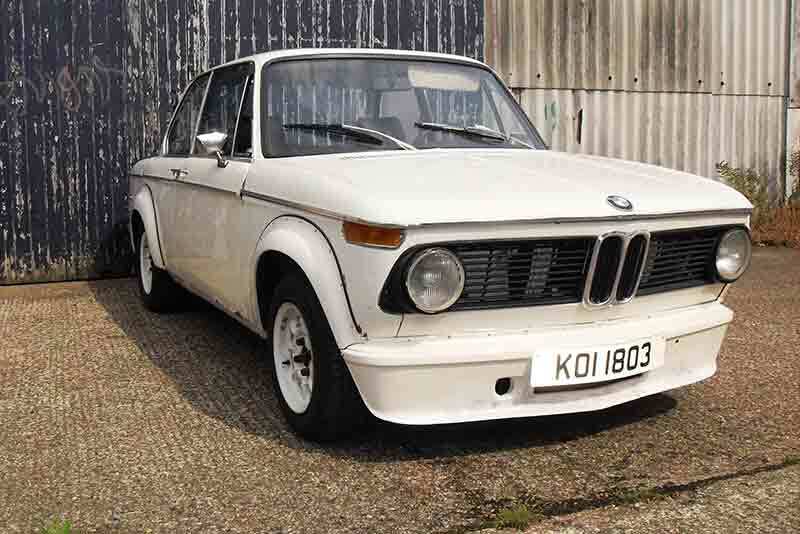 The BMW 2002 Turbo is offered with no reserve, so competition should be fierce for this much sought after car. The sale takes place on Saturday, August 23rd, with doors opening at 10am and the sale starting at 1pm. The pre-sale viewing takes place on Friday 22nd August from 2pm to 6pm.